Men's 14k white gold band with about .20 pts. The ring weighs approx 12.6 grams. 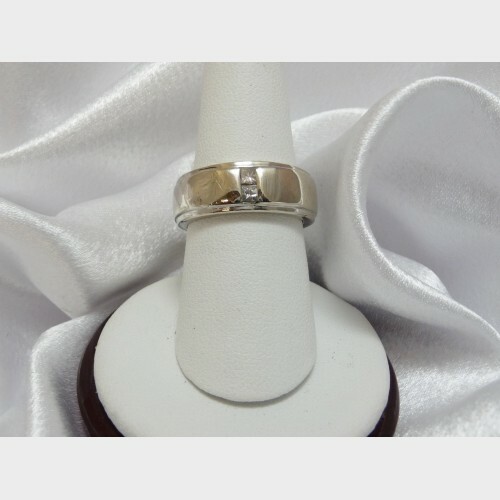 Ring is pre-owned with obvious signs of wear and is a size 8 1/4. Resizing may be possible.